in USD, USD to ZAR, ZAR. The US Dollar to South African Rand (USD/ZAR) exchange rate rebounded slightly from its worst weekly levels this morning, as investors anticipated the South African Reserve Bank’s (SARB) January policy decision. After opening this week at the level of 13.83, USD/ZAR briefly edged higher before tumbling. On Wednesday evening, USD/ZAR touched on a 5-month-low of 13.65 before rebounding slightly this morning and trending nearer the level of 13.74. Investors are buying the US Dollar (USD) due to lingering market demand for safe haven currencies. Uncertainties about tensions between the US and China, as well as political uncertainties in Europe, have made investors a little more eager to buy safer currencies instead. Relatively risky emerging market currencies like the South African Rand (ZAR) have also been less appealing as a result. The South African Rand in particular has been unable to hold its best levels this week due to some disappointing South African data, as well as market expectations that the South African Reserve Bank will not be particularly hawkish in its upcoming policy decision. Weeks after the most recent round of US-China trade negotiations made investors more optimistic that tensions between the nations would de-escalate, developments overnight made investors more anxious about trade again. This made investors more eager to buy safe haven currencies like the US Dollar. Reports emerged saying that US authorities were investigating Chinese technology giant Huawei in a criminal probe. It followed an arrest of Huawei Chief Financial Officer, Meng Wanzhou, in Canada last month. The arrest worsened tensions between the US and China, and the latest probe is likely to keep tensions flaring too. The latest US data may have supported the US Dollar too. US import prices contracted a little less than expected year-on-year, according to the December figures published yesterday. 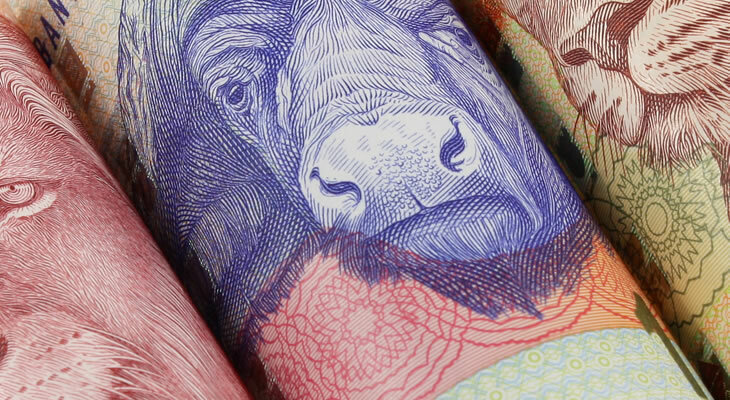 Amid some fresh US-China trade tensions and lower market demand for risky currencies, the South African Rand edged lower today. Investors lacked fresh reasons to buy the risky emerging market currency as the South African Reserve Bank (SARB) policy decision approached, in which the bank is expected to leave South African monetary policy frozen. Demand for the Rand was also likely limited by Tuesday’s highly disappointing South African mining production contractions in November. Some notable US ecostats will be published at the end of the week, but unless they are highly surprising the US Dollar to South African Rand (USD/ZAR) exchange rate is more likely to be driven by shifts in risk-sentiment. Friday’s most notable US datasets will be industrial and manufacturing production stats from December, followed by Michigan University’s January consumer sentiment projections. Data aside, USD/ZAR’s best chance to recover by the end of the week is if US-China trade tensions worsen further or if the South African Reserve Bank’s (SARB) Thursday policy decision is more dovish than expected. If US-China trade tensions worsen, investors will be more eager to buy safe haven currencies like the US Dollar, and emerging market currencies like the South African Rand will weaken. It’s a similar story for the South African Rand in the coming days, meaning risk-sentiment is most likely to be the main cause of US Dollar to South African Rand (USD/ZAR) exchange rate movement for the remainder of the week.